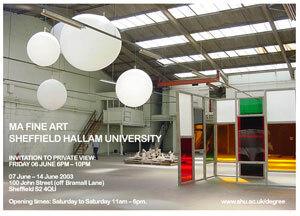 Group Show by final year Fine Art MA students at Sheffield Hallam University Show. The exhibition included work from 8 artists with soundwork 'Transverse' by Heather Connelly sited amongst the others' works, dispersed throughout the space. Whilst Connelly's 'Transfix' invited the viewer to enter into unfamililiar territory. a photographer, poet, writer, composer and commissions for other artists. The exhibition also included an extensive education programme, publication, conference and Mail Art project. 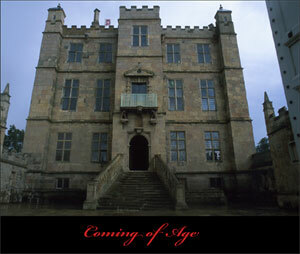 The work then toured to a number of other venues including the Jacobean Folly at Bolsover Castle (English Heritage). 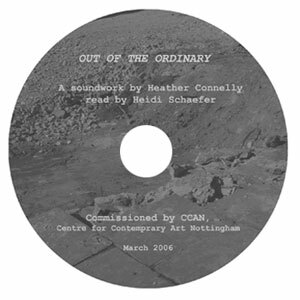 A limited edition CD and cover commissioned by CCAN to celebrate the London Launch of the Gallery at Tate Britain.